PHP MySQL "instant" Audit Trail - FlatCoder Ltd, Freelance software developer UK. I was approached by a client recently who had developed their own bespoke Customer Relationship Management software (CRM). It wasn’t really a planned system – more a necessity as the business grew. The developer was a member of staff who happened to know a little PHP and the software was developed without design or future planning. As such, it became bloat-ware, bits tacked on here and there over a long period of time, no real database design to speak of, no structure to the code. The client engaged FlatCoder Ltd. with the ultimate aim of a new system. Obviously there is a lead time, and the client requested if “meanwhile” it was possible to build auditing/audit logs into their existing application. Currently, there was no view of who edited what in the system and thus no history (audit trail) against any account or similar. One of my early thoughts was to simply add triggers to the MySQL database tables to catch updates, note the differences and record them in a separate audit table. In principle, it would have been a neat solution. Sadly, none of the existing tables captured “who”/last change made by, making the critical part of the task impossible – recording who changed what. The client had also requested IP logging, again, not possible via triggers without passing extra data in (which would mean massive code modification). If I was going to have to modify the code anyway, there was little value in the idea of triggers – it was no longer a neat shortcut. When I said “massive code modification” – I was not joking. There were literally hundreds of PHP files, many not even used as far as I could tell, many making no sense with no comments or relation to each other. After a few hours with the code I concluded it would take days to fully understand and then days upon days to modify for auditing. What I had gleamed from the code, however, was that no Object Request Model (ORM) or similar was being used, no PDO, no nothing, just the regular MySQL library as provided by PHP. All of the queries being sent to the database were raw SQL passing through the “mysql_query” method of PHP. 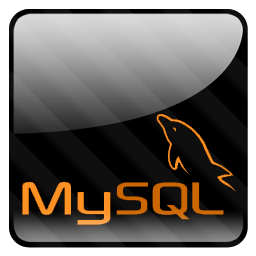 Then, all I would need to do, would be a search and replace on the code base – replace “mysql_query” with “my_new_mysql_query”. In theory, job done! Here is how I wrote it. Sadly, it was not without bugs. I ended up having to fix it and after the bug hunting I partly wish I’d just written my own parser. I digress. The problem with the parser was in the Parser.php file it included. A function, “parseCondition”, does some string comparisons. It was using the “==” PHP syntax which is not type safe. I simply replaced the “==” comparisons with the type safe variant “===” for the function parseCondition in Parser.php. The bug I had seen (zero conditions of numerical values being seen as strings) went away. The above SQL was executed on the target database (in a test environment initially) and the audit table ready to be populated. Next came the actual auditor. The code is given below. I’ll admit it’s not the most elegant code ever and I’ll blame that on a combination of pressure to deliver and the knowledge this system was going in the next few months anyway. It’s very difficult to write an elegant addition to a terrible code base. I’ve added a few notes in the code comments. The most important part to take note of is that we ONLY record actual changes to our audit table. That is, values being passed in via a MySQL UPDATE are first compared against OLD values. Again, the system being what is, sends an UPDATE detailing every column in a row when the user hits “Save” as opposed to only sending values that have actually changed.